Today's challenge is to stamp your own background. IO has a new artist in the house and I'm showcasing a few of her stamps today. Now y'all......... hehe, that's funny coming from a Canuck isn't it? So you all know I love texture....... 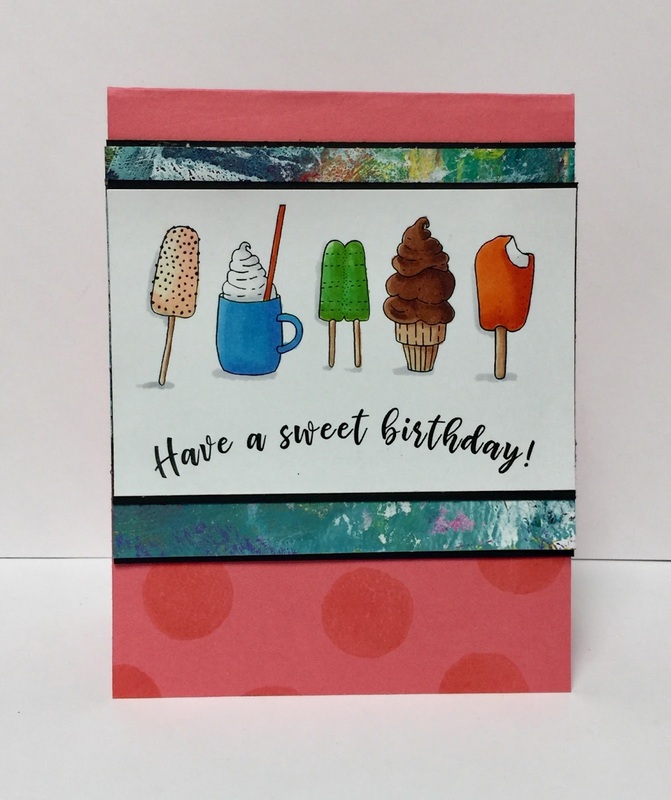 So added some texture to my card using a couple of yummy embossing powders from Emerald Creek. I am LOVING these Embossing Powders.....Thick and Delicious!!! Good Morning! 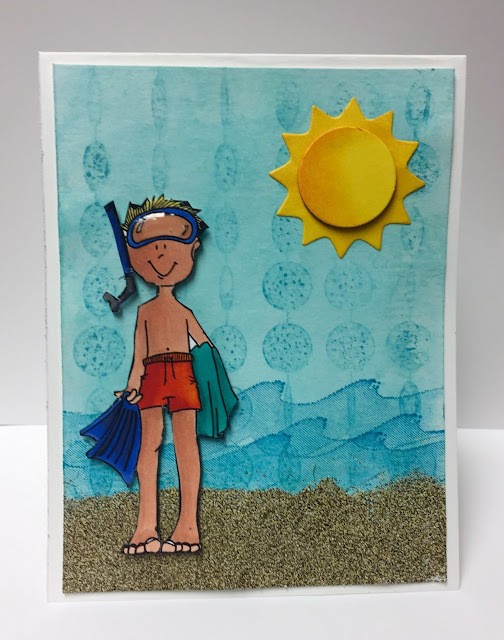 Welcome to Day 3 of Impression Obsessions Summer Release Blog Hop! Today we have some more deliciousness to share with you! Today I'm sharing simple funness!!! What's better than frosty treats at the beach! 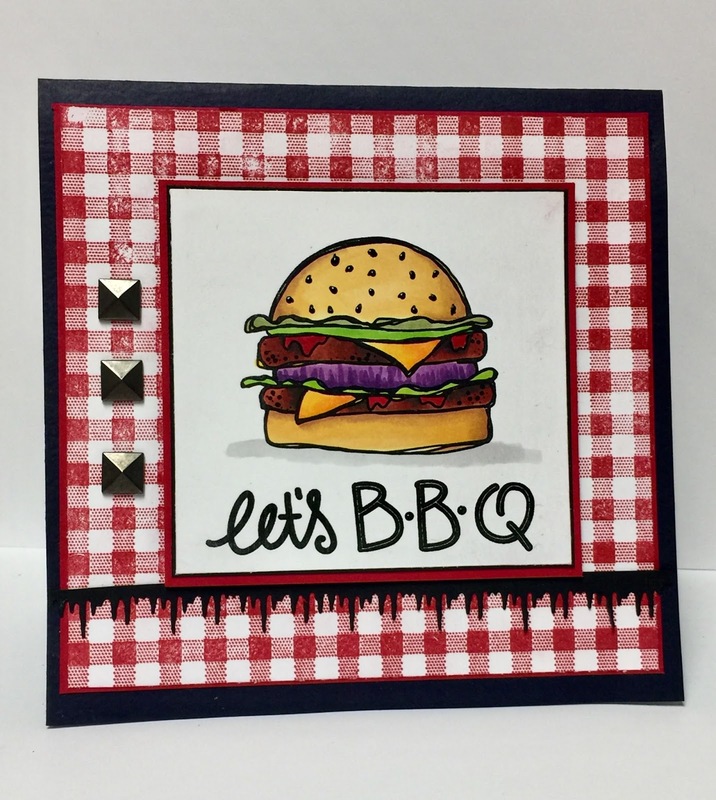 Impression Obsession Summer Release Blog Hop Day 2- Let's hear it for the girls! Good Morning!!!! I'm featuring Girls today on my blog! If you've come from Laura's Blog, You're in the right place!!! So back to girl power!!!!! The sentiment is from the sentiment set. See the little bit O' texture on the base card? That's a delicious new stamp called Heart. It's beautiful and you will see it in some of my mixed media creations soon! Remember to hit all the spots for the hop because you can win a gift certificate!!!! For all the details, its in Yesterday's post. And now for another little Beauty! 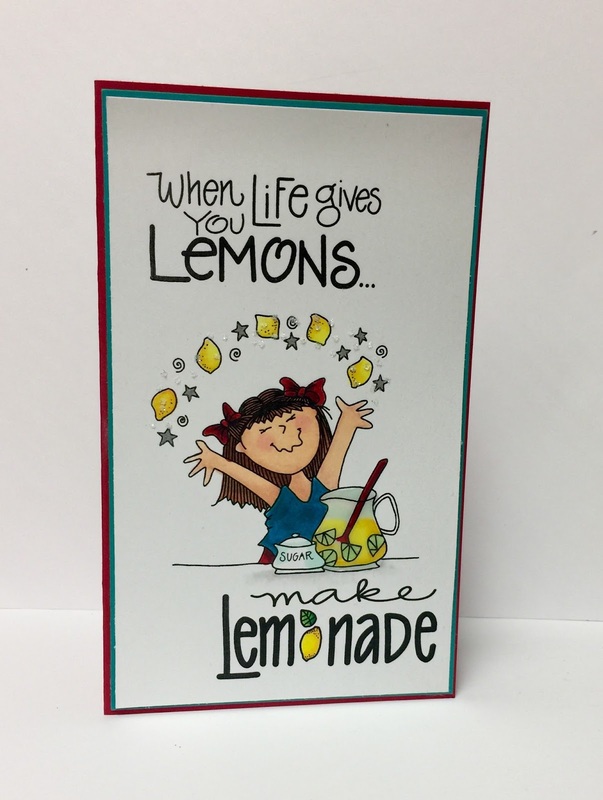 Little Lilly, the Lemonade Lady! This image makes me smile and so does the sentiment!!! That pitcher is definitely half full!!!!! MMMMMMM I could go for a cold glass anytime now! The following stamps were not harmed in the creation of this card! Hope you enjoy the hop today!!!!! We have some beautiful new stamps to share AND Gift Certificates to give away! The Blog Hop will be posted on the Impression Obsession Blog at 6am EST May1st – May 3rd. 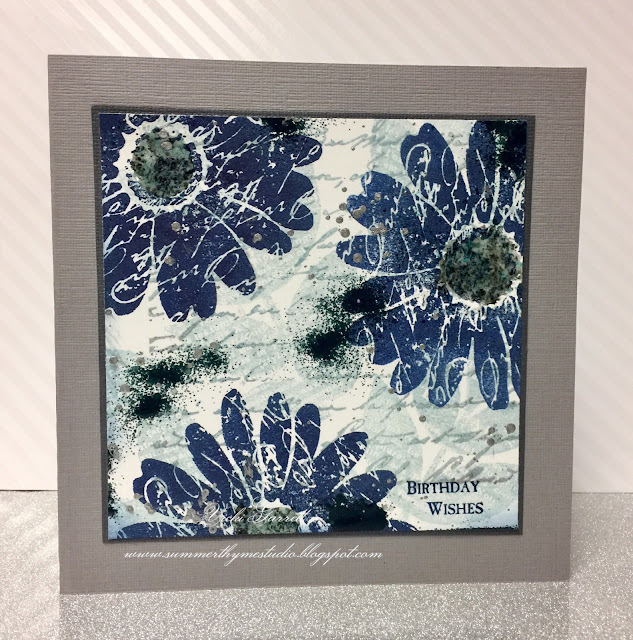 Visit our fabulous IO Design Team’s blogs (only one comment per blog per day please) for a chance to win one of FOUR $25 Gift Certificates! The more blogs you visit … the better chance you will have to win!!! Comment entries will be open on all posts until 9pm CT on Sunday May 6th and all winners will be announced May 7th.